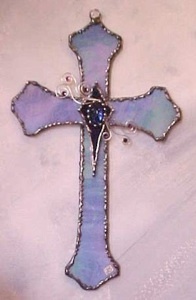 dawna makes several different types of Crosses in a variety of glass colors. Contact us to find out what’s in stock right now. 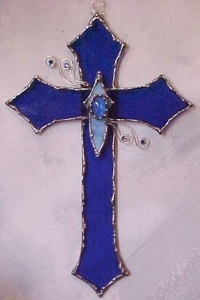 Above; two crosses in blue glass one light blue the other cobalt each with crystal detail. The light blue cross has rounded edges the cobalt has pointed edges. 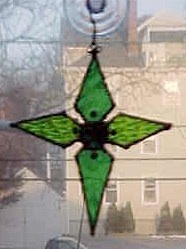 In the middle a smaller stylized cross in green glass with crystal detail.